M Huncho has dropped his latest EP, Utopia. By definition, ‘utopia’ refers to ‘an imagined place or state of things in which everything is perfect’, alluding to what’s in store on Huncho’s latest project. The 14-track offering features guest appearances from Yxng Bane, Nafe Smallz, Sharna Bass and Park Hill. M Huncho dropped the first single, ‘Birds’, while he also dropped an NFL-themed drop using the famous moniker used by Chad Johnson in ‘Ocho Cinco. 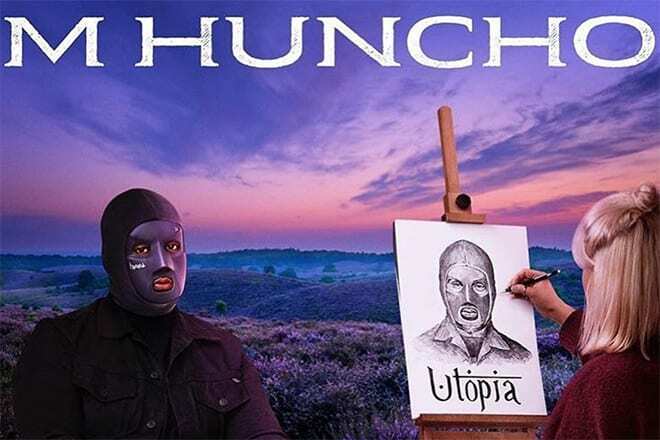 Utopia is Huncho’s third project, following on from Get Out (2017) and 48 Hours (2018), the latter of which was made within the space of two days. In case you missed it, Huncho recently featured on Nafe Smallz’ latest release, ‘Like A Film’, which can be watched here, while the duo also featured on the latest on a transatlantic release featuring Gunna called ‘Broken Homes’, which you can find here. To go alongside Utopia, M Huncho has also announced a 10-date nationwide tour which will run as follows: Brighton (April 20), Liverpool (April 21), Glasgow (April 22), Bristol (April 23), Cambridge (April 24), Manchester (April 26), Leeds (April 28), Birmingham (April 28), Nottingham (April 30), before ending with a London show at Printworks (May 1).